Your trusted Salem Auto Body Shop, Capitol Auto Group Collision Center is proud to offer our customers great discounts and offers to help ease the burden of collision repair costs. We understand how frustrating and difficult it can be to see your vehicle damaged from an accident, which is why we strive to provide you with exceptional customer service. Our body technicians are not only highly trained, they are also professional and courteous. 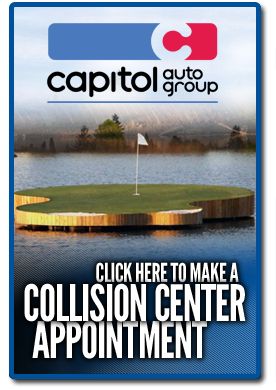 If you're in need of expert and timely body repairs for your vehicle in Salem, Keizer, Hayesville, West Salem, and Four Corners, Oregon then we invite you to visit Capitol Auto Group Collision Center. We are located at 2815 Silverton Rd. NE Salem, OR 97301. We look forward to serving you today!